Driven by a 1.83GHz Quad-Core CPU, it ensures fast and smooth performance, while the 6500mAh Li-ion battery enables continuous runtime of up to 6 hours. The 1280*800 high definition screen displays vivid and vibrant pictures, plus you get a dual camera with rear facing of 5.0 MP, front facing of 2.0 MP and built-in 32 GB memory. KOCASO W1010 - Packed with an efficient Quad Core processor and IPS screen, this Windows tablet delivers high performance and functionality. Includes a 30-day trial of Microsoft Office 365 so you can experience all that Microsoft has to offer. 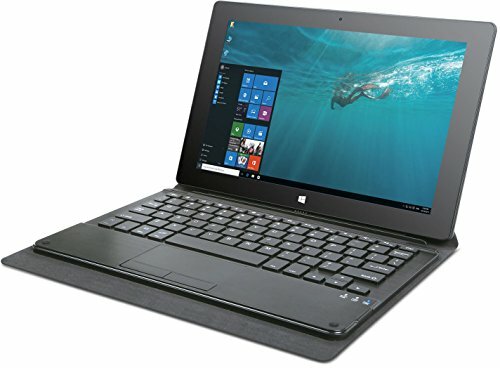 IDEAL FOR PROFESSIONALS, STUDENTS, AND WRITERS - Comes with a keyboard that lets you set your tablet up like a laptop. Writing e-mails and essays has rarely been easier, and the lightweight tablet lets you take your work wherever you go. WIRELESS AND BLUETOOTH FUNCTIONS - Wi-Fi and Bluetooth capabilities keep you connected to your world, and the front and rear cameras let you video chat and take pictures and movies all day long. If you have any questions about this product by Kocaso, contact us by completing and submitting the form below. If you are looking for a specif part number, please include it with your message.